We find the high ground in building; personable, exceptional, and cost-effective. 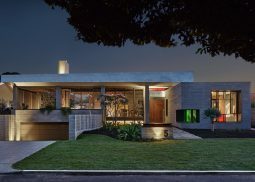 Contract Electrical is one of WA’s most experienced and celebrated electrical contractors. Established in 1985 to provide you electrical and lighting installation, maintenance, and supply services at prices which can’t be beat. Whether your goal may be residential or commercial, maintenance, or new installation; our electricians are equipped to do it all. Over the last 30 years, our services have evolved quickly with new technological advancements – often leading the charge in our industry. Our electrical services reach residential, commercial, and industrial buildings and offices from local Perth to regional Western Australia. Equipped for any electrical installation, Contract Electrical can also help you design and construct your next project; our office staff have over 30 years’ experience in tendering and electrical design. 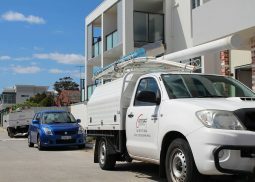 Located in Bayswater, Western Australia, 6 kilometres from Perth CBD a team of dedicated tradesmen are equipped to travel to any of your Perth electrical installation or maintenance needs. Our electrical contractors are fully licensed and insured to assure that you receive the best service, no matter what. The Contract Electrical goal is driven on one agenda: to find the happy medium between quality and price. Our team is structured in a way that ensures each client is working with a dedicated group of people perfect for the job; our internal structure also ensure continuity between each contract. It is important that you get to know your team and they get to know you. The personal approach to building is often lost when dealing with large companies and Contract Electrical strives to redeem that assumption. 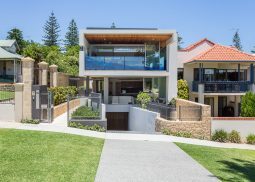 Our team of Perth electricians make your experience as personal as possible, building a relationship with the electrical tradesman and supervisor of your project straight away; contacting and liaising about your project is simply one phone call away. Unreliable Perth electrical contractors need to be a thing of the past and we recognize that; we can make the difference in your next build. As important as establishing great relationships are, we always consider how important the right price is for everyone. That’s why we guarantee to provide you our best price, every time. We are always open to discuss quotations and will do our best to provide you with any deductions we could see fit. Experience with light fittings and the steady advancement in technology means our Perth and WA electrical contractors are finding new innovative ways to achieve electrical goals every day. Especially in electrical maintenance jobs we can provide you with the latest, cheapest alternative with LED lighting to suit your home thanks to varying options available. Get in contact to experience the difference in the electrical contracting industry. Specialising in the residential electrical sector, mixed use developments, apartment complexes and luxury homes are our bread and butter. Our focus on this sector means we have always got the resources available to put a team on-site and provide you with the best residential electrical quote you will find. Being involved in residential electrical construction contracts for years means we have come to perfect the art of being a residential electrician. 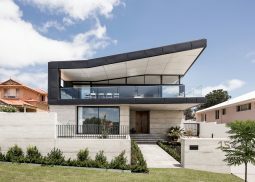 The results speak for themselves with various electrical contracting awards for luxury homes across Western Australia in prestigious magazines such as Builders Choice WA. Working with a bottom-up approach, our expertise in residential construction means we do not limit our service to top end and are open and ready for any project whether that be your granny-flat extension or domestic electrical maintenance. To equip our team of electrical contractors for any electrical services, we do our best to keep as many electrician jobs in-house as possible. Achieving this, an inventory of earthmoving and electrical pre-lay equipment sets our electricians apart from the rest; ready to perform any underground works small or large while saving you money! We can help you maintain and improve your current electrical lighting and outlets; On the spot, cost-effective solutions for your home. Luxury Homes, apartment complexes, and mixed used developments. Cover all your bases when you work with Contract Electrical. Carpark lighting, public open spaces, and electrical installations for your company. Work towards a brighter future in your business. 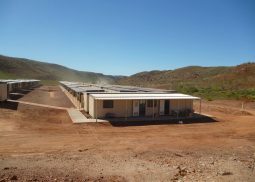 Camp installation and maintenance, onsite mining electrical solutions. Fully certified and accredited electricians for regional specifications. West Australian electrical contractors who have built their reputation on trust, advancement, and continuity. What I really like is I can contact the office and provide a list of random things that need to be looked at, and your staff come to my house and are really good at managing the issues and ensuring I am happy with the recommended solution. Contract are always professional, appropriate and kind, I think that’s very important. 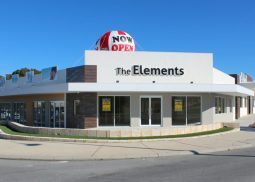 I will be recommending Contract to my friends who also need electrical works done. We chose Contract Electrical because of their loyal reputation and good work ethic. Mark conducts his business with building thoroughly and consistently, he is a good experienced trade person; and this goes throughout the team. I would recommend Contract Electrical to any builders as they always go the extra step. Contract Electrical give us the value for money we need to win jobs. Mark and his supervisors are always on the ball, very approachable and helpful. They have quality tradesmen who are good at their job providing reliable, and professional workmanship; working with Contract Electrical has made our job easier. I recommend Contract to all our clients to ensure they call them first. Connect with Contract today, to switch on tomorrow.